to bring forth a children's camp for all kids to enjoy! Over the past 85 years the Owen Sound Rotary Club has worked hard at developing a summer over night camp for children . 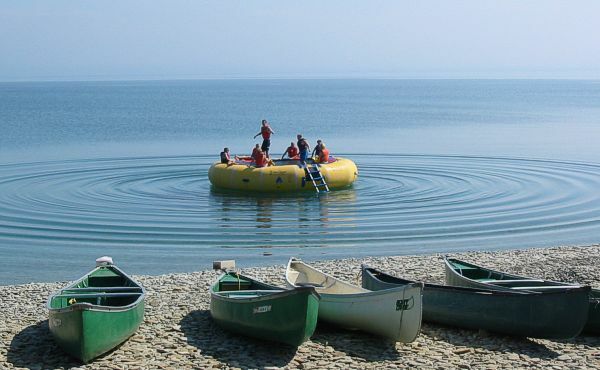 In partnership the Owen Sound Rotary Club and Family YMCA are proud to offer high quality summer camping experience for all children to enjoy. Along with a beautiful, modern site, Camp Presqu'ile offers a wide variety of programs ensuring we have something for everyone. Through interactive programs and a community focus our campers will have fun, develop friendships, and create memories that last forever. Camp is a place where children are free to be kids, where your imagination can take you on many adventures, a place to have the time of your life.